Zertisa | Content Publishers – Want to Boost Your User Base? The mobile app market has experienced phenomenal growth over the last years. As a result, market commoditization has put more and more pressure on market participants, especially on new and smaller app publishers. Logically, market participants try to differentiate from each other, to offer an added value & to become visible to users. Due to only very few large central app stores which distribute apps, every publisher has the challenge to gain the needed visibility for his apps in these few app stores among more than one million other applications. As a consequence, publishers have to find other marketing channels outside of the classical mobile app store distribution channels. 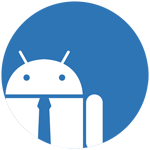 Zertisa offers you the opportunity to place your content/your apps on Android devices. Due to its great network of hardware manufacturers and telecommunications operators as well as its unique placement technology which respects all requirements from a technological standpoint (e.g. localization rules, hardware requirements) Zertisa can act as a single point of contact for you.